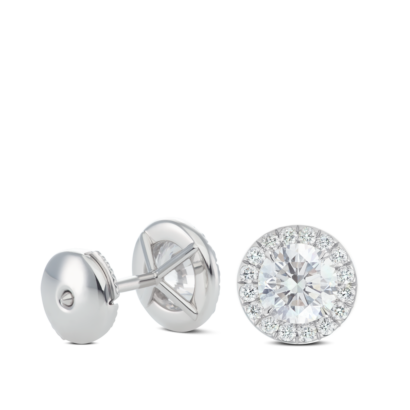 Round brilliant diamonds set in halo platinum earrings. Designed for a 0.50ct or 5 mm round center stones. Can be made for any size center stone.